Areas of Practice | Frontiero Law Office, P.C. The Offices of Salvatore J. Frontiero, Esq. Attorney Frontiero handles a variety of both residential and commercial real estate related closings, including purchase and sales and refinances. Attorney Frontiero serves as closing attorney for a variety of lenders, from local banks to larger national lenders. He also provides sound legal representation for a variety of other buyers and sellers of real estate, from the first time homebuyer to the experienced real estate developer. For most people, their home purchase is the most important financial decision that they will make and having experienced legal counsel to guide them from offer to purchase through closing is essential. 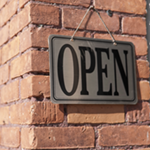 In addition to real estate closings, Frontiero Law Office provides clients the legal representation they need in the other real estate related matters, including landlord-tenant matters, property disputes, easements and title clearance matters. He also handles land use and zoning related matters including permitting and representation before Planning Boards, Conservation Commissions, Zoning Boards of Appeal and other municipal boards. Attorney Frontiero’s goal is to offer full service legal representation for all of your real estate related legal needs. Small business owners need quality legal representation from start-up, through business growth and ultimately succession or sale. Attorney Frontiero represents a variety of small business clients, from the sole proprietorship to the business with dozens of employees. His full service approach includes assisting small business with their start up needs, such as incorporations and LLC formations and partnership/shareholder agreements, and providing quality representation to such companies as they grow and prosper. Attorney Frontiero’s philosophy is to be there for small business owners to provide legal advice and representation in their day-to-day operations, as well as for major business decisions and changes. In addition, Attorney Frontiero has experience handling business purchase and sales, including liquor license transfers and other permitting requirements. He also provides legal services for business loans and growth related needs, including purchase and financing of commercial real estate and commercial leases. If you are thinking of starting a business or have been in business for many years, Attorney Frontiero can provide the representation that you business needs to be successful. Ensuring that your affairs are properly in order in the event of death or serious illness or injury is important for you and your family. Whether you own many assets or very few, proper estate planning is key to ensuring a smooth and worry free transition for you and your family. 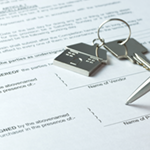 Frontiero Law Office offers estate plans tailored to your desires and legal needs. 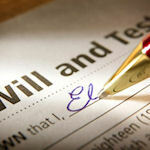 This includes wills, health care proxies, powers of attorney and trusts. It also includes designating the proper people as guardian for minor children. Attorney Frontiero takes the time to learn your unique situation as it pertains to you, your family, your assets, how your assets are titled and what your wants and desires are. From there, a custom estate plan can be tailored to address your needs and desires. Whether you are single, a young couple with children or retired, whatever your situation, this hands-on approach helps give you peace of mind that your legal affairs will be in order and your wishes will be carried out. At Frontiero Law Office, we never lose site of the fact the death of a loved one is a very difficult and often life changing event for the families of the deceased. Whether it involves the probating of an estate through the Probate Court or other legal matters that arise as a result of the death, Attorney Frontiero’s approach is to make this transition as smooth as possible for the family and thereby lessen their stress during a very difficult time. 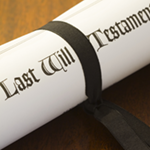 Even when it is not necessary to probate the estate of a deceased loved one, it is often necessary to deal with confusing and difficult paperwork for the purposes of transferring assets to a joint owner, survivor or beneficiary, often when the family is still dealing with loss. Attorney Frontiero can assist the family in probating an estate or transferring assets that pass outside of probate in as smooth, stress-free and cost effect manner as possible. Every person’s situation is different and the legal issues that arise as a result their death differs as well. If you have lost a loved one and would like to discuss such issues, call Attorney Frontiero to set up a free initial consultation to discuss your situation. Let Frontiero Law Office make this very difficult time more bearable by taking the burden of these matters off of family members. There are a complex set of state and local zoning and subdivision laws, regulations and ordinances that govern the development or renovation of real estate, whether it involves putting an addition on a home or a developing a large tract of land, Attorney Frontiero handles a myriad of these matters and provides quality, hands-on legal representation before local permitting authorities. Even for the homeowner who wants to make minor improvements to their home, unintended legal consequences can arise and often such work requires special permission from local zoning, planning, and conservation boards and commissions, as well as governing bodies, such as a board of selectmen or a city council. Attorney Frontiero can assist property owners in wading through these issues and avoiding problems that could arise after-the-fact. 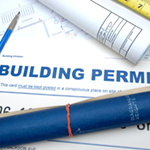 Attorney Frontiero also recognizes that there are other non-legal issues that arise from seeking special permits, variances and other permits. His approach involves looking at the larger picture, including working with neighbors and the like in a proactive manner in order to ensure that the permitting process goes as smoothly as possible. If you have a land use issue that requires legal representation or you are unsure of the legal ramifications of your proposed improvement to real estate, do not hesitate to call Attorney Frontiero for advice in such matters. Frontiero Law Office, P.C. | 46 Middle Street | Gloucester, MA 01930 | 978.283.2850 | Call for your free consultation.